As someone who has cabinets in a public arcade (albeit one that doesn't really earn all that much), very interested in hearing about international sales. Location tests are happening starting today - anyone going? Eager to her some feedback about Aka To Blue Type R.
Just found out there's a new-ish arcade in my town that was a former pinball-only place. From the pics on google, they apparently have JP candy cabs so when I'm over this cold I'll stop by there and plug Exa to the owner, if they're not already aware. I really want to play A2BTR, and this could be my ticket to do so. e: it's one of those places with a hefty cover charge but all the games are on freeplay. Not ideal for me because I'm picky about games and other reasons, but I'll at least give them a visit soon. Not sure if I've heard of this place. Would you mind sharing exactly where it is? I went on Friday afternoon. The game is fantastic. If you like SDOJ, you're going to love this. There were just .... other factors... of the loctest that I didn't like, and I'll go back on Monday to try again. Visit Tokyo Shmups! for all of your STG needs! I accept Bitcoin, XRP, and Ethereum! It's in central VA so a bit of a drive for you, the game list is probably not worth the travel. e: welp since last week they've removed Gradius from the games list. Not sure I'm interested in going anymore. Any loctests at round 1 in the states? Those location tests, along with final release, will come later worldwide after the location test period in Japan. Only Exa Arcadia will know when it is time for other parts of the world, like USA, Europe, Latin America, Asia, etc. 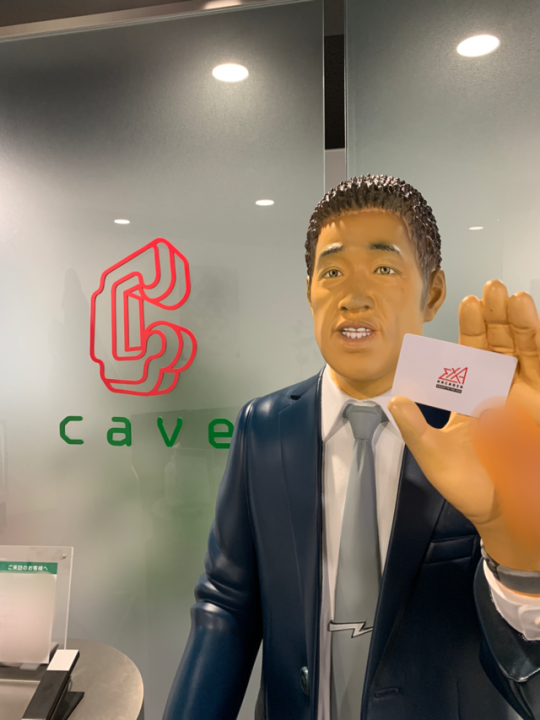 You're missing the card square that says "CAVE decided to unfuck themselves and are making arcade shmups again"
How cool would it be if we got a new Ikeda or Yagawa game on Exa? Shou please make this happen!! Ok, if you pull this off I'll open the wallet to rep St. Louis (I'm sure caldwert is already). Will need a new cab though, which is the obstacle. We are in active talks with Round 1 Japan and USA. When there is something to announce, we will. Did you censor a thumb ring holding the card out on the right side? Sneak some fine print into the contract that forces them to update their iOS games. I hope there is one for Round 1 in San Jose Eastridge Shopping Center because that place is closest to home in the SF Bay Area. Otherwise, go talk with various barcades in SF as they are excellent spots like Emporium SF and Oakland. It's nightmare fuel, but it's the nightmare fuel of my dreams ! Today's the final day of location test for Aka & Blue Type-R at three locations in Japan, all established arcade chains including Taito and Namco. The amount of revenue obtained by those games should expectedly exceed many of the modern arcade games released so far thanks to no forced revenue share. If any of you are actually in Japan and did have a playtest, feel free to share your thoughts on the latest build of Aka & Blue Type-R.
That sounds rather cryptic and/or mysterious. So did you end up going back? I noticed they had a picture on their site showing the 4:3 aspectratio without borders. Must be quite a challenge to implement that properly! I wonder if any of you actually tried to contact game developers behind any games you wish to see on Exa Arcadia? I have actually have done that to a few games that I believe would be nice for the arcade platform. I am at GDC and there are plenty of booths to actually talk to the developers. Yet there is no Exa Arcadia at GDC. I can name a few games that are at GDC and informed them about EXA Arcadia as an easy to develop platform with emphasis on exclusive content and gave them the website link. Also before GDC, I contacted the creators of SkyScrappers and they informed me that they heard about it somewhat from the indie game community and asked me if I actually worked for Exa. I replied that I am a passionate fan and praised them for actually making a platform versus game that utilized both horizontal and vertical (Switch exclusive) orientations. I would not be surprised if anyone else bothered to ask developers about publishing games to Exa Arcadia as wishful requests. Last edited by MrJBRPG on Sat Mar 23, 2019 1:14 am, edited 3 times in total. No, I never went back. I had to tie up work and get ready for a trip back to the USA. I was the only one there playing the game, and there were two guys there from some company (EXA? Tanoshimasu? Namco?) That stood directly behind me the entire time, literally a foot or two away with very serious faces focusing intently on what I was doing. I wanted to goof around with the game and find out what button combos did, the vertical and horizontal limits of the ship, etc, but felt like I had to "preform" for these guys. So I did my best, died on the first boss, and peaced out. No idea what their intentions were, or why they were there but they made me a bit uncomfortable. I went to Namco with 20 coins ready to play, and I only played once. The game was really good, but ... I dunno. I didn't like the vibe. Intended to go back, but I had to finish things up in Japan and had no time. Edit 1 - Apparently, I learned that the forum posting may not be the proper place to give critiques on the web page development, and I only used it while the email contact was not functional, despite that ShouTime checks out the forum postings periodically. Now that the contact page actually works successfully, I can safely use the contact form to possibly address any bugs on the website as well as providing anything else appropriate to their business. I feel nicely relieved that I do not have to use the forums anymore for giving feedback on websites. I have tested the contact page and sending them an e-mail through filling the forms finally works. The About Us section as a nicely concise mission statement that attracts the eyes of their intended target of arcade enthusiasts, especially operators as the big aim. The only thing that somehow bugs me is under the Where we hail from section where there are images that when they are touched by mouse, they go black without any further interactions (example: links to the companies, very short description). Somehow, all the logos presented could benefit from having a white background to clearly present borders as well as little more interaction like maybe greyscale unless dragged by mouse to reveal color. Press and Where to Buy have not changed much and that is to be expected until more news come about. The Games and Partners tabs have not changed much and they are getting better at providing links to relevant areas of interest, such as developer of the games being linked on the game profile and games being linked on the partner profile. As expected, the games and partners deserve some more polish and the Exa Arcadia Team are working hard on delivering their best presentation. Anyways, that is my latest critique for the website and I, along with other arcade enthusiasts, wish all of Exa Arcadia to be their best. Last edited by MrJBRPG on Thu Mar 28, 2019 1:06 am, edited 3 times in total. If you can't geek out here where can you geek out. I just hope it’s aspergers, because its just creepy if it’s not. QFE. Exa is worth being talked about. And small companies definitely appreciate free QA. Exa Arcadia has recently been spotted in Fightcade offline festival last weekend, filled with fighting, shmups and others. I found a few videos that do showcase the Exa Arcadia cabinets as part of the background. There were only 2 cabinets, each featuring sets of 4 games in horizontal and vertical. The games showcased/tested are all shmups. If any of you actually participated in the fightcade offline festival and had a chance to play any of the games, feel free to shout out below. Otherwise, we can patiently wait until new content arrives. I was hoping for such news, and it makes sense given the platform is targeting the arcades. I'm sure it would be more difficult to obtain licenses and such though.